You are currently browsing the category archive for the ‘stench of death’ category. The sun broke through the rain clouds. A vigorous storm drenched the ranch just outside of Gonzales, Texas. The Ranch Boss and I were riding the range on his ATV. Four wheel drive did not even hesitate at any barricade whether water, mud or wash. We bounced over the terrain looking for any work that his ranch hands needed to add to their work lists. In his mind he had a checklist that he made notations on a scouting trip like this. One alert was his animals. There were a lot of beasts on his acreage. Some of the animals were tough and could withstand almost any kind of adversity. There were other critters, however, that had some vulnerabilities. They were smaller. A predator would easily choose one of these animals for a meal than the beasts that could defend itself in woods. He threw his ATV into gear and spun the steering wheel. Our casual scout now had a specific objective in mind. The vultures spelled death and that was never good news to a rancher. We bounced through the woods. He dodged fallen logs, bogs and massive trees. Our forward progress came to an abrupt end. The muddy ground made us skid for a long stretch. When we came to a halt, the Ranch Boss did not need to say much. We both were socked in the face with the wretched stench of rotting flesh. 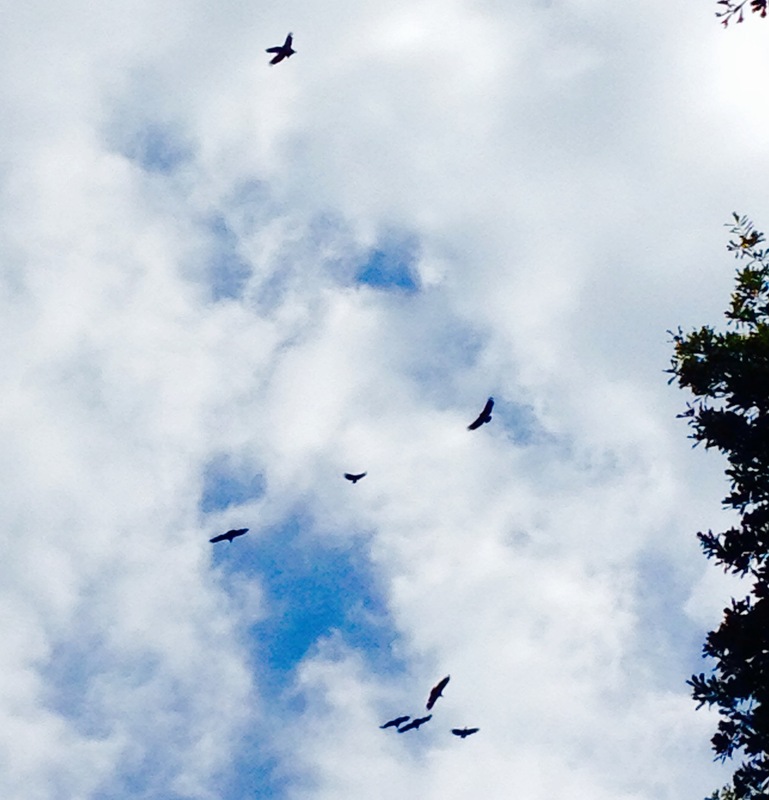 The vultures have been specifically designed by the Creator to clean up the woods. When an animal dies, they find it. Together a flock of these powerful creatures eat up the rotting flesh with relish. The flies and the maggots wrap up the details. There is no more need for human intervention. This is one ranch critter that will no longer roam in the fields. We made a hasty exit. What God had design to finish up the circle of life we left to operate without disruption. Fresh air was just a 50 feet away. The birds signaled other birds in the area to join them. These feathered scavengers attracted more of their kind. A great flock gathered and told any who could see that their morbid work was almost done.